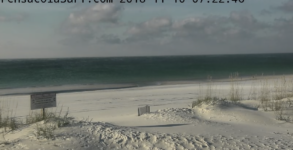 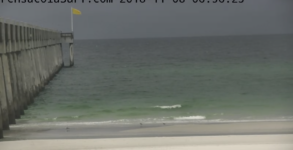 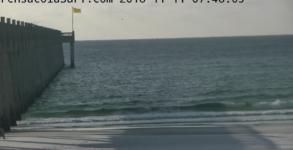 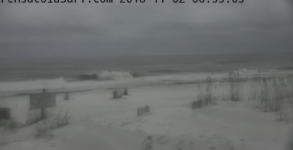 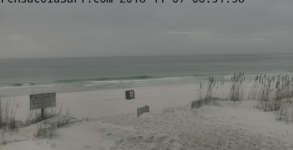 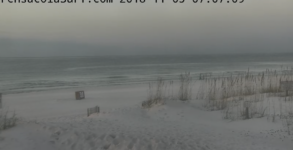 Good morning, we have partly cloudy skies, air temp is 50, water is 75, wind is blowing 10-20mph out of the NE. 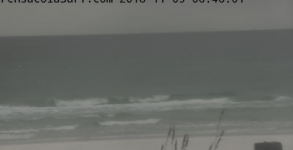 Surf is flat. 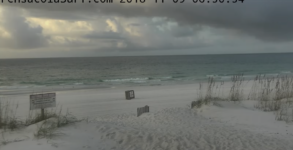 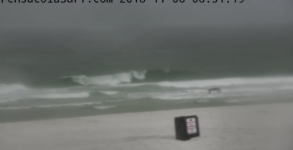 Good morning, we have cloudy skies, air temp is 62, water is 77, wind is blowing 8-12 out of the WNW with some larger gust.